Croux Koplin, pronounced “crew”, is the founder and head chef at Croux & Co.
Croux inherited his love of cooking great food from his mother Kelly. She has been catering events for many years and she enjoys making her friends and family meals that bring happiness. She shared her love of cooking with Croux, showed him how to revamp old family recipes and taught him how to experiment new ones. At the age of 16 Croux got his first official job in a nice restaurant. He started out as a dishwasher and rose into food prepping and sous chef work. 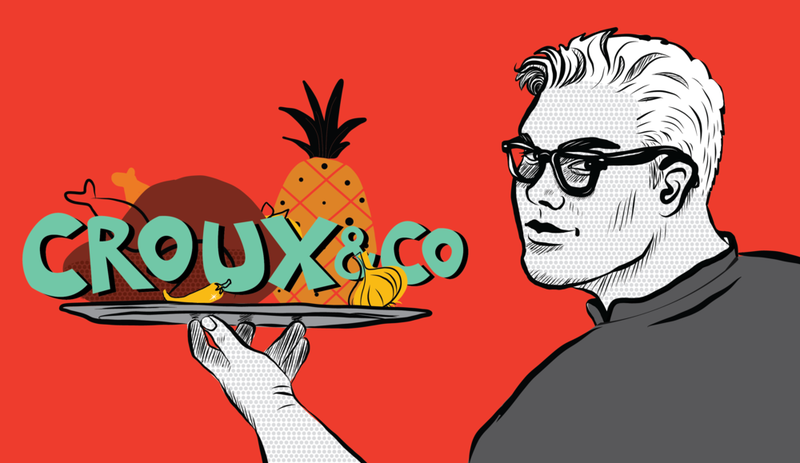 He has since worked at other restaurants and is now starting his own catering company called Croux & Co. Croux is determined to create delicious food that will bring people together.